In order to understand Trenbolone Enanthate we must first understand the Trenbolone hormone itself then with an understanding of how the Enanthate ester affects it we can fully understand the benefits it can provide. Trenbolone Enanthate, like all Trenbolone forms is a 19-nor class anabolic androgenic steroid that is both highly anabolic and androgenic. The Trenbolone hormone is so powerful it is 500 times more anabolic than testosterone, as well as 500 times more androgenic; as testosterone alone is so powerful this should give you a pretty good idea of how amazing this steroid really is. 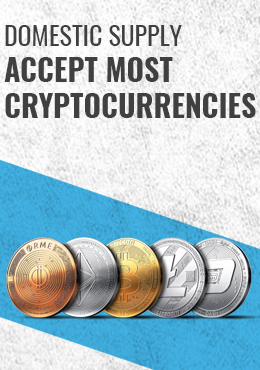 All of the traits discussed thus far are very important and alone they make Trenbolone Enanthate a powerful anabolic steroid worth consideration but of all the traits there is one that truly stands above all and indeed allows this hormone to stand tall above the rest. Trenbolone as by its original design greatly promotes what is known as “Feed Efficiency” or what may be more accurate for our purposes “Nutrient Efficiency.” The Trenbolone hormone first hit the market as a means to beef up cattle and the main attribute was simply enhancing the nutritional value of the food cattle would eat. As you understand there is nothing more important than the food we eat; all the anabolic steroids in the world are of little value if our nutritional intake is not up to par. With the introduction of the Trenbolone hormone into the equation the food we eat simply becomes more valuable; the hormone literally enhances the food you’re already eating allowing it to work more efficiently within the body. When we eat certain foods only a certain amount of each nutrient will be able to be used; for example, certain protein sources absorb better than others, such as eggs; you can absorb and use a larger portion of the protein derived from an egg than you can red meat. In the case of eggs and red meat, while both can be very valuable to the athlete, with Trenbolone in play all the nutrients they provide simply become more valuable as their efficiency increases. As you understand anabolic androgenic steroids the particular ester attached is not a hormone, it is merely an ester and the ester attached does not change the hormones mode of action or traits it provides once in the body. In the case of Tren, as is with testosterone, all Trenbolone varieties are the same regarding the hormone itself, the ester attach will however largely determine the hormones half-life, meaning, how long it will remain active in the body, affect its initial activity time and play a role in the total mass of the compound. Trenbolone Enanthate is a large ester based anabolic steroid and as such it will not become noticeable as quickly as smaller ester forms; however, its total activity will stretch far past smaller ester forms. As a long ester based Tren, Trenbolone Enanthate does not need to be injected very frequently, in-fact most will find 2 injections per week or simply a schedule of one every 4 days to be sufficient. 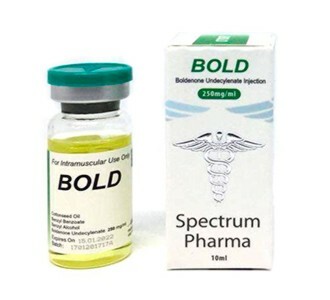 You will also find this compound on a per milligram basis to be a little weaker than Trenbolone-Acetate, meaning to receive the same dosing with Tren-E as it is most commonly known the individual would need a little more on a weekly basis to receive the same amount as if the Acetate version were being used. The reason for this is simple; when we take 100mg of both forms a larger amount of the Tren-E form is ester, as larger esters take up more mass in a compound than smaller ones. As can be determined by simply understanding the hormone we can easily see it can and will provide nearly every trait any individual could ever desire through anabolic steroid use. Is it the perfect steroid; side-effects aside we can say with assurance if it’s not it’s about as close as you can get. Individuals who supplement with Trenbolone Enanthate will find they can do so and with equal effectiveness in both bulking a cutting cycles; the Trenbolone hormone is truly one of the most all around all-purpose steroids available. Individuals who supplement with Trenbolone-Enanthate during their off-season period will find that it greatly promotes lean tissue gain as well as massive increases in strength and as the steroid will not aromatize any weight gain will be 100% pure lean tissue. For the dieting athlete this may indeed be the most powerfully effective point of use as its very traits not only promote fat-loss directly but also lend to the preservation of tissue and an enhancement of its appearance far more than any steroid available. Trenbolone will greatly preserve muscle better than any anabolic steroid, thereby keeping your overall metabolic rate higher; the more lean tissue you carry the more powerful your anabolic activity will be. In the same light, the hormone will also greatly promote preserving strength, meaning, athletes who diet while supplementing with the Trenbolone hormone will find their strength is more easily maintained than without. It’s no secret, when you diet some strength loss will occur but we can minimize this to a great degree first and foremost by our diets themselves and by the addition of the Trenbolone hormone. Trenbolone-Enanthate also carries with it traits that will be very important to the competitive bodybuilder or for the individual who is simply looking for a similar type physique; hardness and more pronounced vascularity. It must be noted, while these are fantastic traits they are not simply outright; the individual must be lean for the pronounced affects to be visible, the Trenbolone hormone will not make a fat physique hard all on its own. Nevertheless, the hardening affect this steroid can provide is truly amazing and its raw power in this regard is beyond any other steroid or any stack you can come up with. In the discussion of anabolic androgenic steroids there are many similarities regarding side-effects from one form to the next and you will find the severity of probability greatly varies within each one. As it pertains to Trenbolone Enanthate we will find this to be one of the harsher compounds on the market in-terms of side-effects; so much so many who read this will never be able to use it. It is true, most will be fine; most who supplement with anabolic androgenic steroids in the first place are fine but there are more individuals who suffer from negative side effects from Trenbolone than perhaps any other anabolic androgenic steroid. A common mistake many make regarding the Trenbolone hormone is making an inaccurate assumption. The assumption is simple; Trenbolone Enanthate does not aromatize, therefore water retention is of no concern and this is true, as the hormone does not aromatize you will not hold any water due to its presence. However, as it will not aromatize most assume Gynecomastia is of no concern and this is incorrect. Yes, you can fall prey to Gynecomastia due to Trenbolone use simply because it is a progestin. As it will increase progestin Gynecomastia can occur in the same light as it can due to aromatization and the buildup of estrogen; thankfully a good aromatase inhibitor will as always block this horrible occurrence. Other side-effects such as acne and hair-loss can occur as well but most will find acne to be of very little concern and any hair loss will be genetically predetermined; meaning, you were going to go bald any way, the presence of Trenbolone simply brought some hair loss about sooner than it might have been. While the above side effects are and can be important, especially regarding Gynecomastia, they are by no means the factors that make this such a harsh compound. The most common side effects of Trenbolone Enanthate use are insomnia, night sweats, rapid heart rate, anxiety and a loss of libido and to a very large degree; in-fact, almost all who supplement will more than likely fall prey to at least one of these side effects. As it pertains to libido it should be noted, this will generally only occur if the dose gets too high or if there is not enough testosterone in your system to counter the effect; those who supplement with adequate exogenous testosterone will not have a problem. As for the rest of the side effects there is simply no way to predict if they will occur or how great their severity will be; it will truly vary greatly from one individual to the next. There is however an important point of interest regarding these side-effects, so important we will delve into it in its own section below. While Trenbolone Enanthate is both very powerful and effective Trenbolone Acetate remains the most popular form and for a couple of reasons but there is one reason that is of particular importance. As the side effects of Trenbolone use can be harsh, if they become more than you can handle hopefully for your sake Trenbolone Acetate will be the Tren in your system. If the individual is supplementing with Tren and using the long ester Enanthate form, if side-effects become a problem and he discontinues use he will still have to deal with the negative reaction for several weeks. Conversely, if he is supplementing with the Acetate version, as a very small ester base he can discontinue use and generally be side effect free in a matter of a few short days. For this reason it is very important to supplement with Trenbolone Acetate the first time you ever supplement with Tren in-order to determine how your body will react. Another point of interest is in the power of the Trenbolone hormone and while there is no hard evidence of this the individual reports are so strong it bears worth mentioning. As you understand on a milligram for milligram scale Trenbolone Acetate is the most powerful of all as less of the compounds mass is comprised of ester. 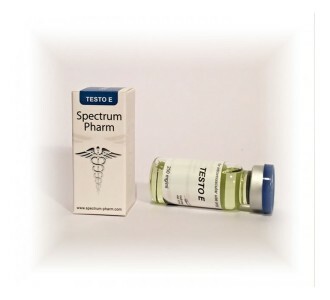 The same can be said of large and small testosterone forms and while small ester forms such as Testosterone Propionate carry more testosterone per milligram than larger testosterone forms such as Testosterone Cypionate we can easily adjust the doses accordingly to ensure we receive the same amount of testosterone with any form. The same thinking can be applied to Trenbolone as well; however, report after report seems to promote individuals experience slightly better results from the Acetate form over the Enanthate version, even when doses are matched to make up for the difference in ester. However, one must understand, if he is to supplement with Trenbolone Acetate he will necessarily inject the hormone far more frequently and for some this can be rather inconvenient. Regardless of purpose, be it bulking or cutting most will find Trenbolone-Enanthate to be very effective in the 300mg-500mg per week range with 400mg per week generally being a very solid dose. Yes, you can use more but most will find doses that get much past 500mg per week to be a little less side-effect friendly, especially if they enter the 600mg per week range and almost assuredly if they surpass 700mg per week. Regardless of dosing most will find 8 weeks to be decently effective with 12 weeks of use generally being as far as you want to go. If your cycle is extended past 12 weeks it’s normally best to substitute another anabolic hormone in Tren’s place in-order to keep progress alive; yes, our body will adapt. As for what you should stack Trenbolone-Enanthate with, simply pick whatever you want as this hormone stacks well with all anabolic steroids. However, it is highly recommended that testosterone be part of your stack as Trenbolone in any form will greatly suppress natural testosterone production. Many individuals also find supplementing with the T3 hormone to be very useful as levels generally fall when Tren is present. Further, as responsible use is important a good Post Cycle Therapy (PCT) plan should occur after the cycle’s completion. 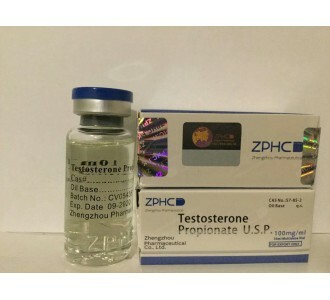 In the case of Trenbolone Enanthate, if your cycle ends with this steroid in play your PCT will not want to begin until at least 2 weeks have passed since your last injection.